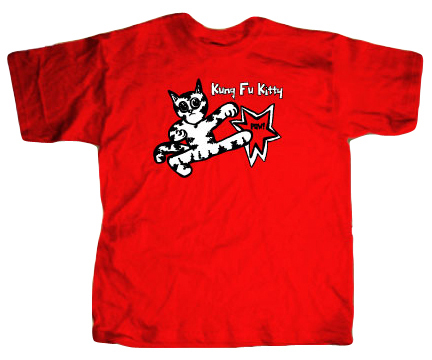 Beautiful Kung Fu Kitty red tee shirts! 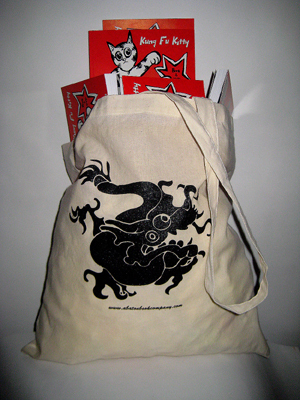 Professionally silkscreened, two colors, many sizes!!! 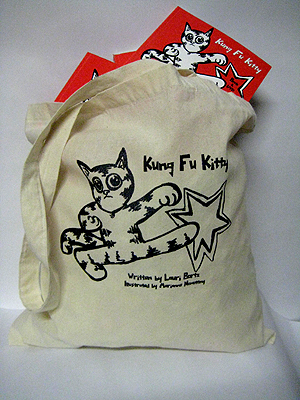 Natural canvas tote bag, 15x16 inches, with Kung Fu Kitty book cover design silk-screened in black ink: Kung Fu Kitty on front, dragon on back. Copyright © 1997-2010 Abaton Book Company. All rights reserved.